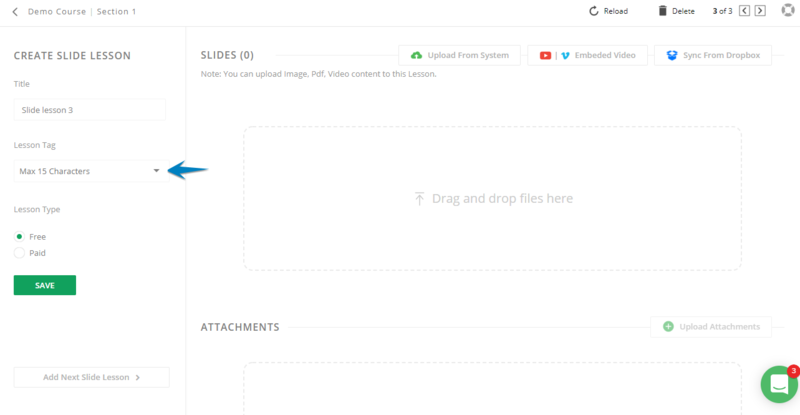 To upload lessons as slides, first save your PPT slides as JPEG file. 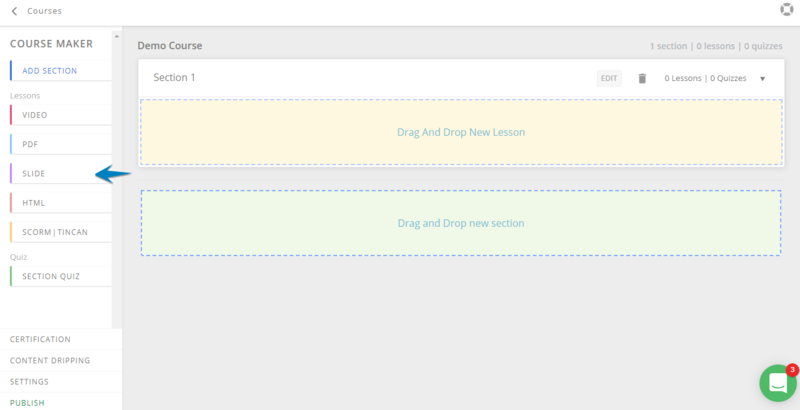 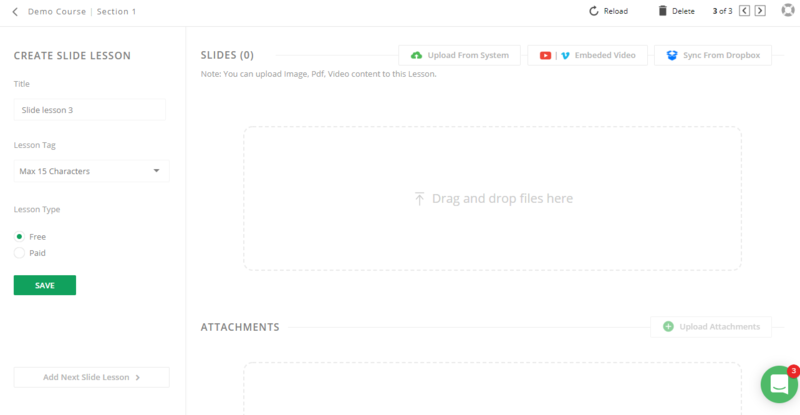 In the next screen, you can drag and drop your slides from your laptop/computer. 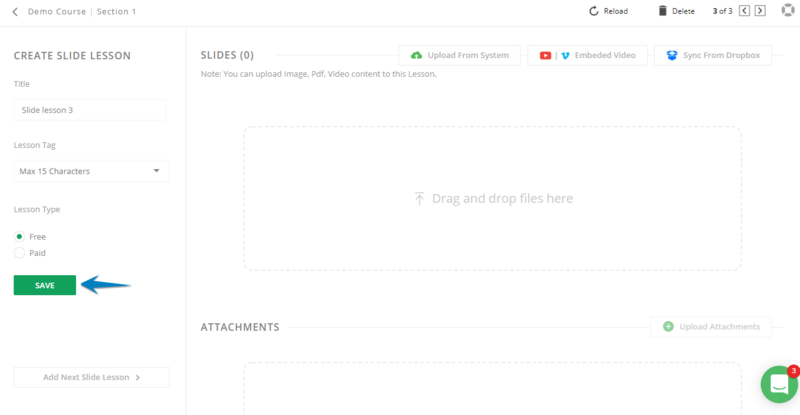 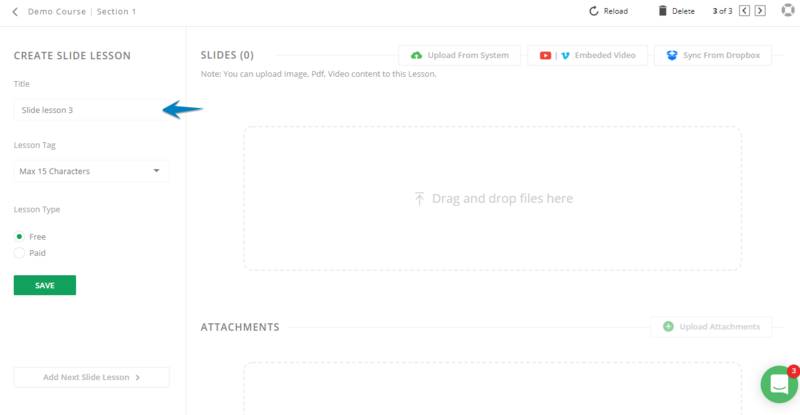 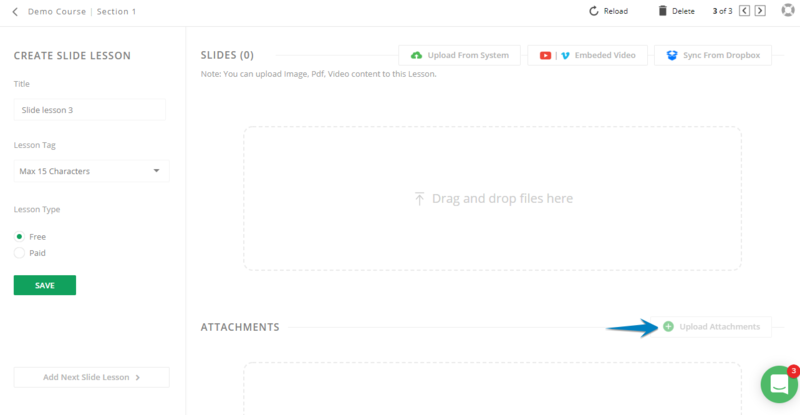 Alternatively, you can embed and stream slides from your dropbox account.